I see that there has been various discussions about travel bags and their contents. However I know that lots of new items appear almost each day and am looking for a bit of guidance. My circumstances are that I can end up travelling all over the UK due to my work. On occasion I arrive at a location and have to stay in accommodation, literally just walking in late in the evening and booking. I’m looking for suggestions as to DE razors and containers that won’t break or leak. The kit will sit in a large hold-all in the boot of a car and will be thrown about from time to time. I’m not looking for top of the range expensive items, just something that will do the job reasonably well for a reasonable budget. 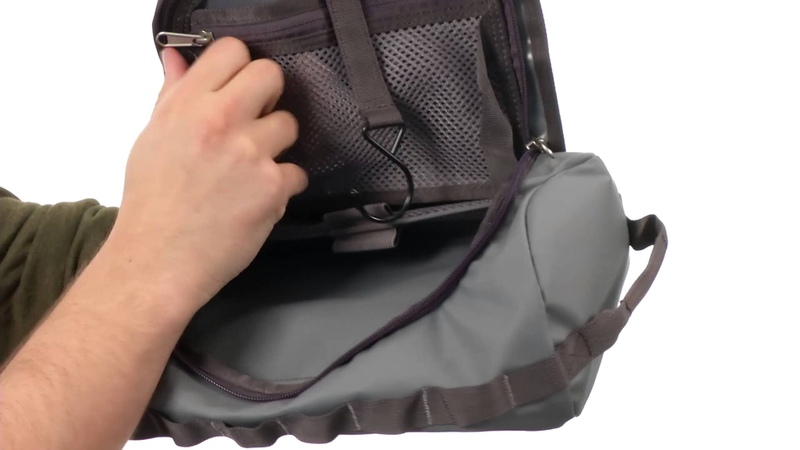 I do like the look of the military style travel bags but that’s moving into the expensive side of things - and it’s just a kit that will mostly sit about getting the occasional use. As ever, thanks for everyone’s help! 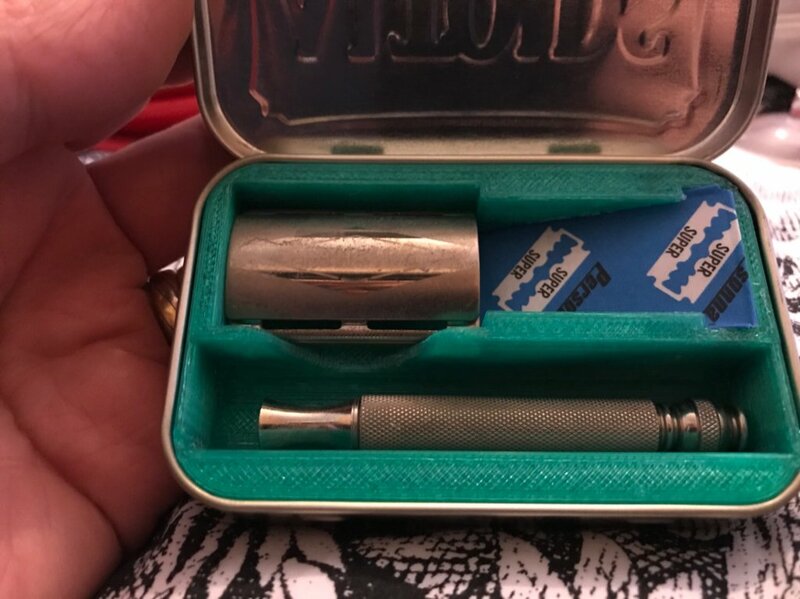 I have a Tech that I put into an altoid mint tin when travelling. It makes a great travel kit. Techs are cheap and easy to get hold of and earlier ones are brass so should be pretty durable. As Damian said they fit into an Altoids tin for protection. Palmolive sticks are cheap and leak-proof and Yaqi sell cheap synthetic brushes that have a good reputation and will dry quickly. I’ll give these things a look. 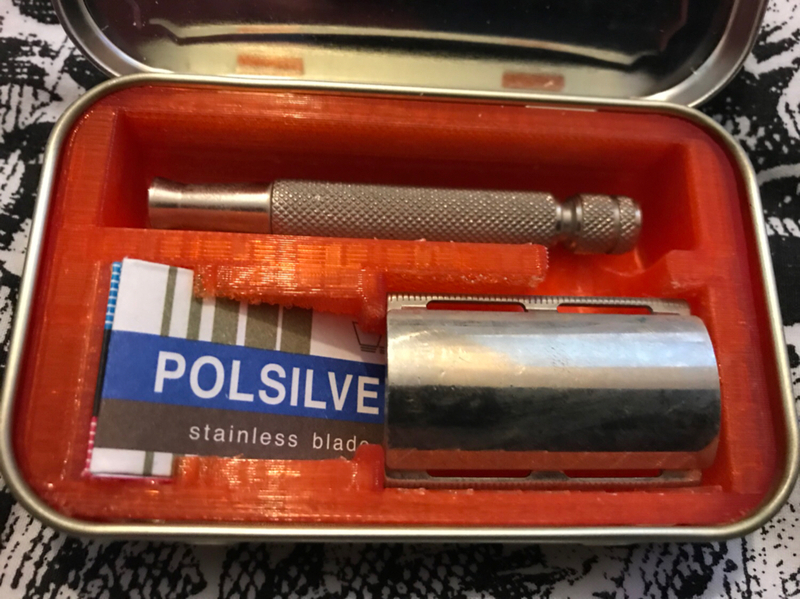 When I travel I take disposable razors and a Palmolive stick, that’s it, not even a brush, I rub the Palmolive through wet hands like a bar of soap and rub it in, does just as good a job. I have to add this applies to holidays, I have better things I want to do than faff with a big shave. If you travel for work regularly you could always look into making your own, get some material and plan what you want to go where. So do I, and a Feather Portable. 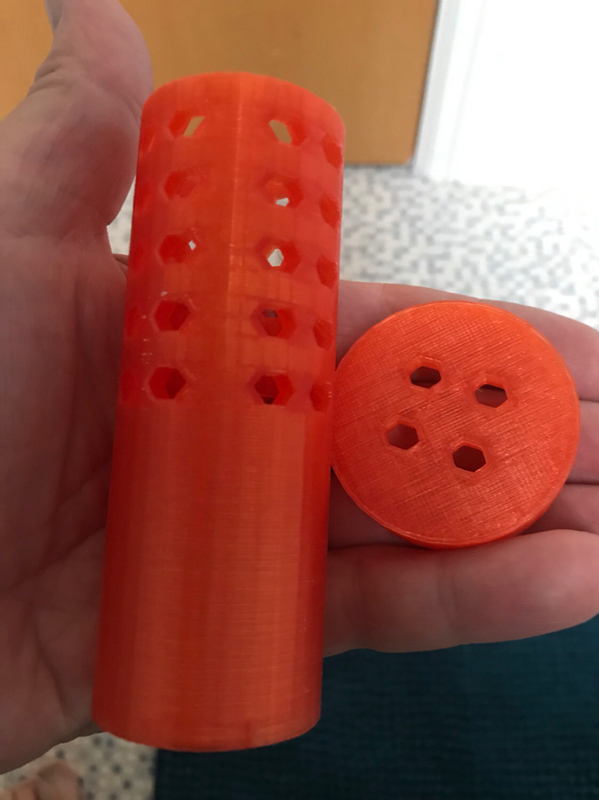 I made the inserts a while ago on the 3D printer and sold a bunch of them on here. Yep, wish I’d bought one. I was sure I had a couple left but I can’t find them so I must have sold them all. I can’t promise anything but I may well be able to do another run. I’ll update here. I was lucky enough you get one from @Northam Saint it certainly is a great bit of kit. I've seen others in the US and foam inserts too. Will keep an eye out, would definitely be interested in one. @GordyC I've got some tubes with snap on lids which are about 10.5cm long by 4.5cm diameter which are pretty good for keeping a brush in to save it getting battered. I drilled one with holes to aid brush drying - if you'd like a couple PM my your address and I'll get 'em in the post to you (the one's we get at work now are white and it'll be un-drilled). I also printed brush tubes. I only made two of these though. I found the resizing a bit of a job. Will be keeping an eye out as well. Depending on how often your going to use it i would definitely recommend the Wilkinson sword classic DE razor, only £5 if ordered directly form Wilkinson, free postage and a tuck of blades with it. Soap wise i always take a stick, i prefer the Vie Long one over palmolive, but that's down to fragrance rather than performance, and then a cheap synthetic brush, i use an Omega one, cost about £6. I'm just experimenting with this as well as a newbie here and recent convert to a DE. Like you I travel a lot, often internationally, but 2-4 nights every week. I ordered a 2nd razor from Yaqi (Aliexpress) along with a synthetic brush and a cheap brush holder. Whole set cost about £30 delivered to the UK and took a week. The brush has turned out to be outstanding and the razor is also great - cheap but still excellent. I also went on ebay and bought an new empty twist-up deodorant container, and with a little patience I got a Palmolive stick to fit in it nicely - clean and easy to use with zero mess when you put it in your washbag. I wish I had seen the tin idea above but today got a simple leather case from Amazon for £6 - havent had a chance to try it in anger yet but seems like it will do the job. Hope some of that is of use, although I am still a bit of a newbie and have very little kit experience! you can fit in half a stick of Palmolive or other stick soap. It'll fit in some types i.e. the one shown is fine but not in others i.e. clear plastic ones, but shove half a dozen blades in and you're good to go.